There is something wrong at Wonderland groove and Maddeline Hatter is aware of that. Her friends and she have to do something to give a boost of wonder. So Madeline decides to throw an especial party where the students have the power to recharge the magical spot of Wonderland. Do you think they will be capable of that? Cool tea party. 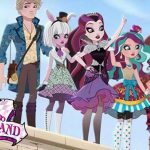 I hope they do wave 2 for the Hat-Tastic party dolls!!! I just love their party. That is like madness. I love that cerise showed her ears and everyones new looks! 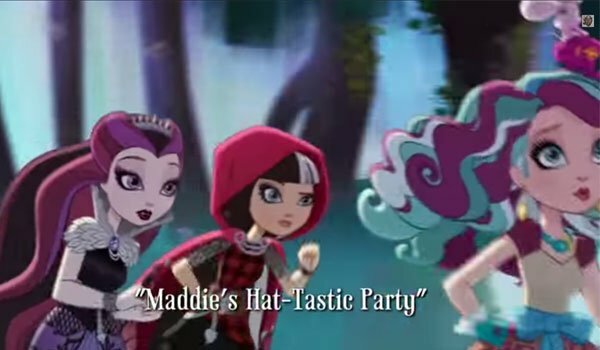 I really want a Raven Hat-Tastic party doll. oh and Lizzie and Kitty. 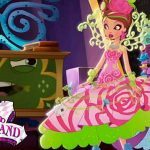 At EverAfter-High.com you will find all the news about the most popular high school of the moment, Ever After High. In our site you will be able to watch videos, read doll reviews, download coloring pages, as well as find books, crafts, updates, news and more.